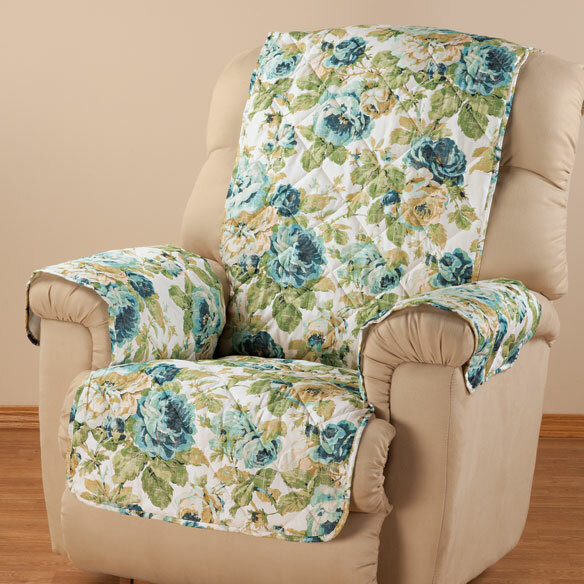 English floral microfiber recliner cover adds soft comfort while beautifully protecting your recliner from spills, stains, wear and more. 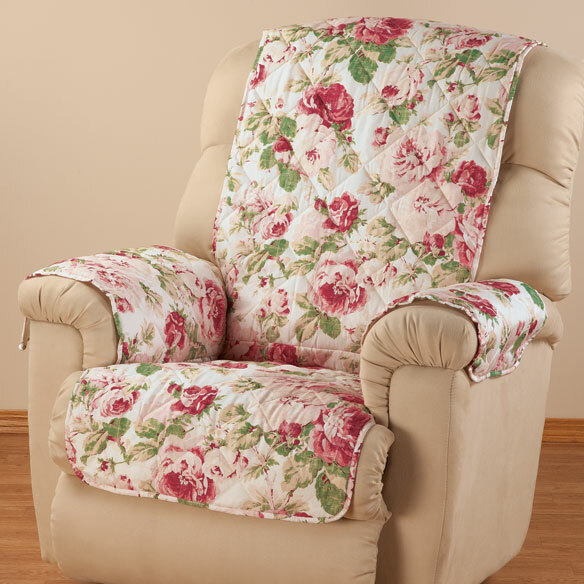 Recliner cover's extra-long back and tuck-in side for full coverage and a secure, stay-in-place fit. Chair cover is available in 2 English floral designs: blue or rose. One-piece furniture cover is machine washable, 100% polyester. The upholstery on my old blue recliner was starting to wear thin. It didn't look good and was itchy. I had three options -- buy a new recliner (too expensive), have my old one reupholstered (too expensive), try this recliner cover first. That turned out to be a great choice. It's easy to put on and looks nice and is very comfortable. The only drawback is it tends to shift around and doesn't stay in place, but is easy to reposition. I plan to pin down the arms and back, which should help keep them from shifting around. Otherwise I'm very happy with this cover. Already have one and this will be the backup one while the other gets washed. It is a great length, protects my recliner so well. I've been looking for a cover for my recliner. This one is very pretty and I love the color. at night this will look good during the day. Like the fabric and pattern and color. I want to protect the leather. I love the floral print and color. Because I just got a new chair and want to keep it looking nice. Also this cover is quite pretty. My recliner is dark blue. Kind of boring. This looks like it will add a splash of brightness to my living room. Plus it will handle any accidents because it's washable. I need it . It is new. You did not have it before. 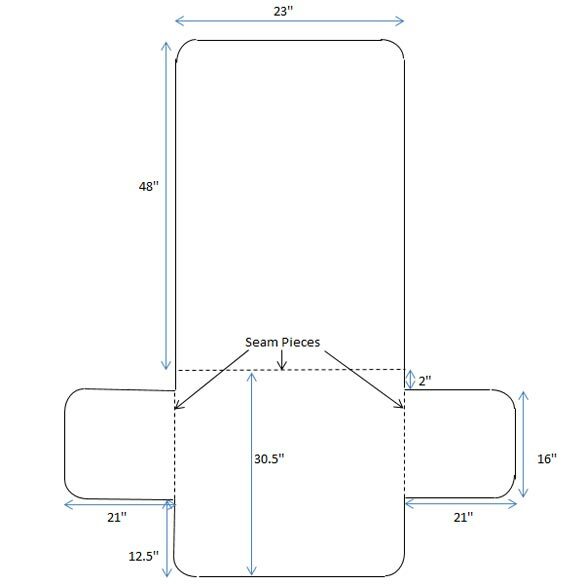 What is included to attach it to my recliner so it doesn't shift when I sit or sleep on my recliner? BEST ANSWER: Thank you for your question. The extra long black slides into the chair and helps keep it in place. We hope this information will be of help to you. BEST ANSWER: Thank you for your question. The Recliner Cover is made from 100% polyester. We hope this information will be of help to you.